Top tips for surviving the bank holiday weekend traffic rush | What Car? 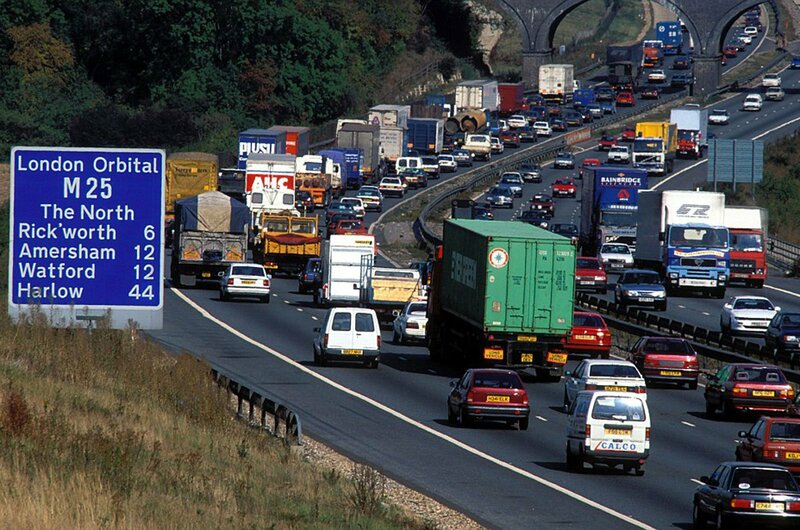 With around 15 million drivers expected to take to the roads to go on holiday this Easter, the massive increase in traffic volume is bound to lead to traffic jams, longer journey times and stress. Fortunately, by following a few simple rules, you can minimise the pain of travelling at this busy time. To help, What Car? has prepared this guide to surviving the bank holiday traffic rush. The most important step is preparation. First, ask yourself if it’s necessary to travel at peak times. If you can travel either early in the morning or late at night, you’ll miss the worst of the traffic. There are plenty of useful websites out there to help plan your route, with dedicated sites for Traffic England, Traffic Wales, Traffic Scotland and Traffic Northern Ireland all listing current events and incidents that might affect your route. Most modern sat-nav systems will also be able to detect if there's traffic on your route and offer detours, but it’s worth having a map in the car just in case the technology fails you. You won't be surprised to hear that the UK’s most popular motorways and road networks will be particularly busy over the bank holiday weekend. The roads most likely to be affected by extra traffic are those that lead to holiday destinations and transport hubs, including airports, the Channel Tunnel and Eurostar. 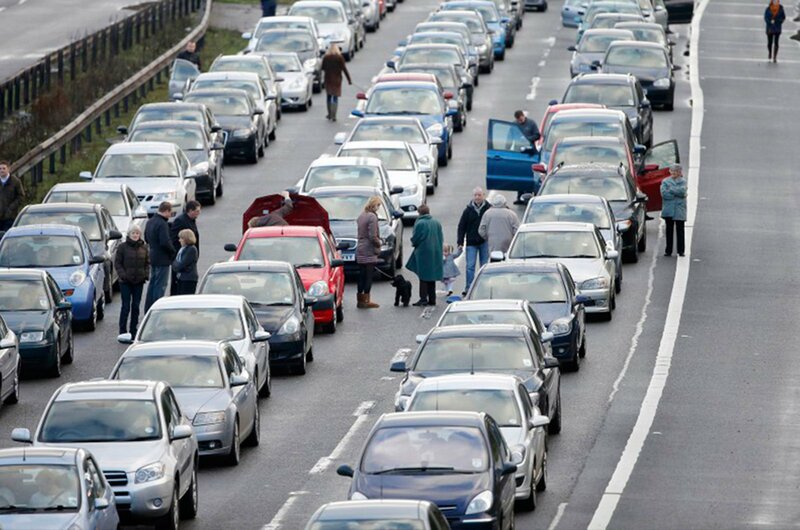 Motorways most likely to be affected by the holiday traffic surge include the M5, M6, M25 and M40. If you don’t have a sat-nav system that can warn you of delays, you can still keep abreast of traffic on your route by using the TA/TP or Traffic function of your car radio. This will automatically switch the station whenever a traffic announcement is being played. Alternatively, there are several smartphone apps you can download to alert you to traffic in your local area, including Inrix Traffic, Waze, Google Maps and The AA. In the video below, we take a look at the best free sat-nav apps available right now. The Highway Code recommends that you take a break from driving for at least 15 minutes every two hours. There are plenty of motorway service stations that offer respite areas and refuelling spots, but you can also search online for less expensive restaurants and petrol stations away from the motorway. English Heritage's website contains a list of scenic stop-off locations close to major transport routes, which you can find here. If have children on board, make sure you have got enough drinks, snacks and games to keep them entertained, in case you get stuck in a traffic jam. A portable DVD player, tablet or laptop can help keep children occupied watching films and TV programmes, and you can also get miniature versions of board games specially designed for the car. Children’s website Minitime also has a list of free games you can play with your children in the car, which you can find here, but classics like I Spy, 20 Questions and Hangman are always a safe bet. If you do end up at the side of the road with a broken-down car, you’ll want to call out a breakdown rescue service. You can eliminate a lot of the time (and cost) by signing up for breakdown cover before you travel. You can buy breakdown cover from as little as £18 per year, and more expensive policies will also cover your onward travel costs and cover you in Europe as well.